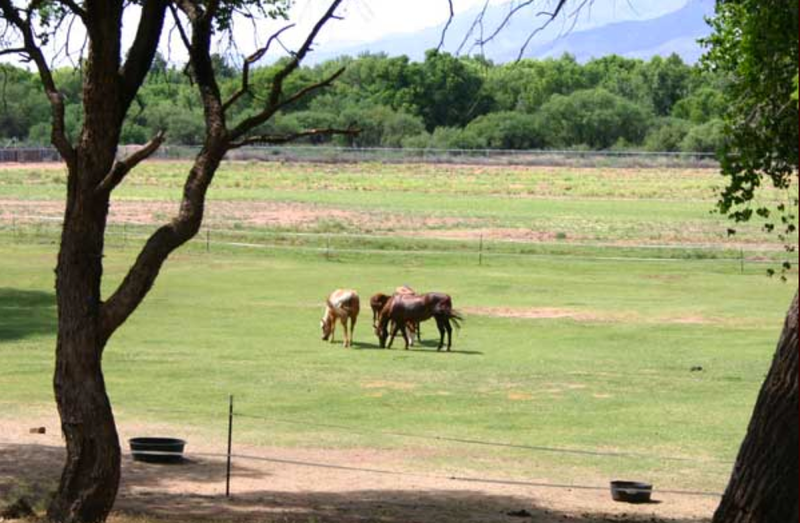 We offer a variety of choices for boarding your horse in the beautiful Verde Valley. Whether you're looking for a long-term home, or seeking to get out of the snow in the winter or the heat in the summer, your horse will simply love our place. Just one of our many beautiful pastures with happy horses. You can choose from a number of boarding options to match your horses needs. Stall barn - Our 12 x 12 show barn feature insulated stalls with lights to keep your show horses at their shiny best. Mare motel - We have two mare motels. Each features open-sided 16 x 16 pens with lights to keep hair coats minimal. Pasture boarding - Whether you're retiring your horses to a happy home or seeking a more open environment, our grass pastures will fit your needs. Our boarding includes feeding 2x/day and daily cleaning. We can also arrange for supplements or any other special needs for your horses.